Marble ledgestone in a bathroom is classic elegance. Few surfaces match the richness and textured beauty that will surround you, imparting at once a sense of nature while making a bold statement of real indoor luxury. Marble ledgestone veneers are made from real stone, created over thousands of years from shells, sand, and mud compressed by the water above in lakes and oceans around the world. The material eventually turns to rock, first limestone and then after centuries of further metamorphosis the limestone becomes rich marble. The color and patterns within the stone are as varied as the millions of seashells from which it is formed. When used for a bathroom accent wall or two, marble ledgestone tiles are produced in a range of shapes, sizes, and colors, all of which manifest their own special aura. Choosing the one that works best from the wide palette of options can be daunting, but the results will be stunning. Cut from natural stone into thin tiles for easy application, marble ledgestone and stone veneers from PetraSlate in Denver will create a classic elegance with a touch of drama you may want in an otherwise dull bathroom. PetraSlate’s Marble Ledgestone veneers are available in 9 different styles with several variations of each type. Each comes with a different color and shade from the wildly mixed, striated pattern of Zebrano Split-Face Ledgestone veneer to the more conservative, yet tasteful Porcini Split Face. Each tile is cut into 6” by 24” and weigh between 6-8lbs. Some ledgestone materials are termed “split faced.” The process involves splitting the face of the stone to yield an uneven, natural stone look. 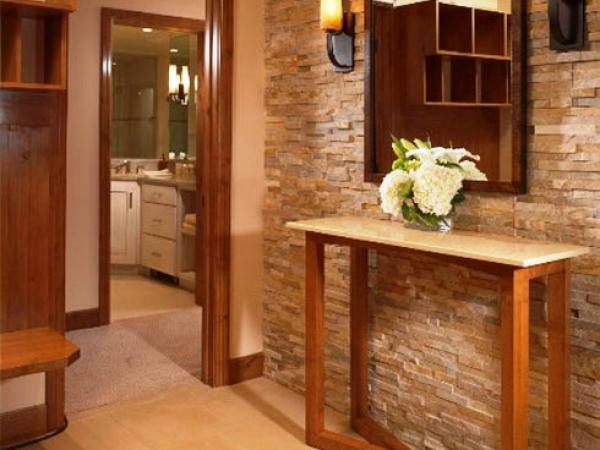 Ledgestone veneers offer a classic decorative option for just about any bathroom decor. Select from a range of high quality styles that are perfect for upgrading that tired bathroom. Contact the experts at PetraSlate Stone and Tile and visit their website at https://petraslate.com/ for more information on marble and Ledgestone veneer tiles. Affordable and easy to install, the real stone veneer will transform your bathroom into an elegant private oasis.